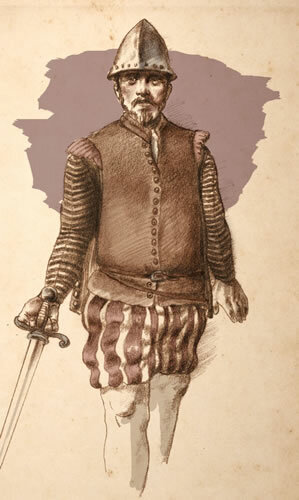 November 1 – Menéndez takes 250 men to Cape Canaveral, captures French survivors there. Before leaving, Menéndez marks out the fort at St. Augustine, and establishes a work schedule for the soldiers to build it. Their tools were iron poles, mattocks and hatchets. Early November – Menéndez establishes a garrison near the Indian River in the Ais territory, leaves 250 men there under Captain Medrano. Menéndez goes on to Cuba. 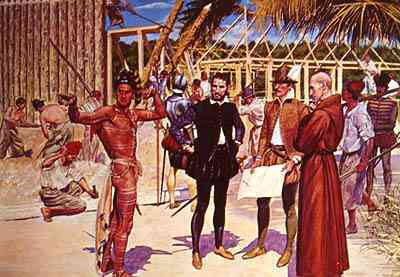 End of December – Diego de Maya arrives in St. Augustine with relief supplies from Cuba. He goes on to the San Mateo fort, but loses the ship and half the supplies before he can land. 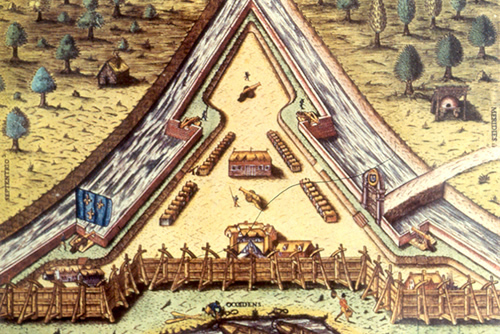 Artist's depiction of Menendez Fort and Camp. 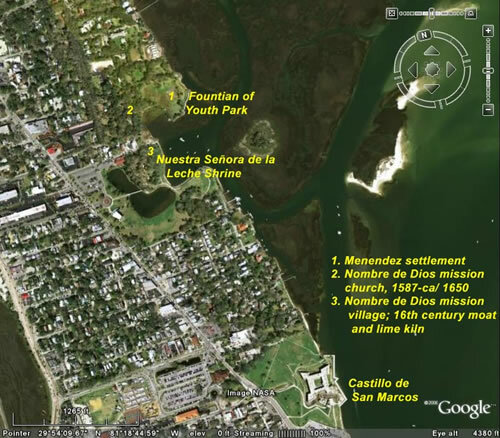 April 1 – St. Augustine fort “half burned”. All supplies lost. June 21 – A relief fleet of 17 ships from Spain arrives in the newly-located town and fort of San Agustín on Anastasia Island. They brought supplies with which to build a substantial fort. This third construction of June 1566 incorporated part of the second, April 1566 fort.